ChargeKey is a portable lightning cable the shape of a house-key. It’s designed to fit onto your keychain just like a house-key, so you’ll always have an iPhone cable on you. Use ChargeKey to charge/sync your iPhone from any USB port. Works with: iPhone 5/5s/5c + iPad air. Fits on your key-chain, Guaranteed. The exact size of a house key. 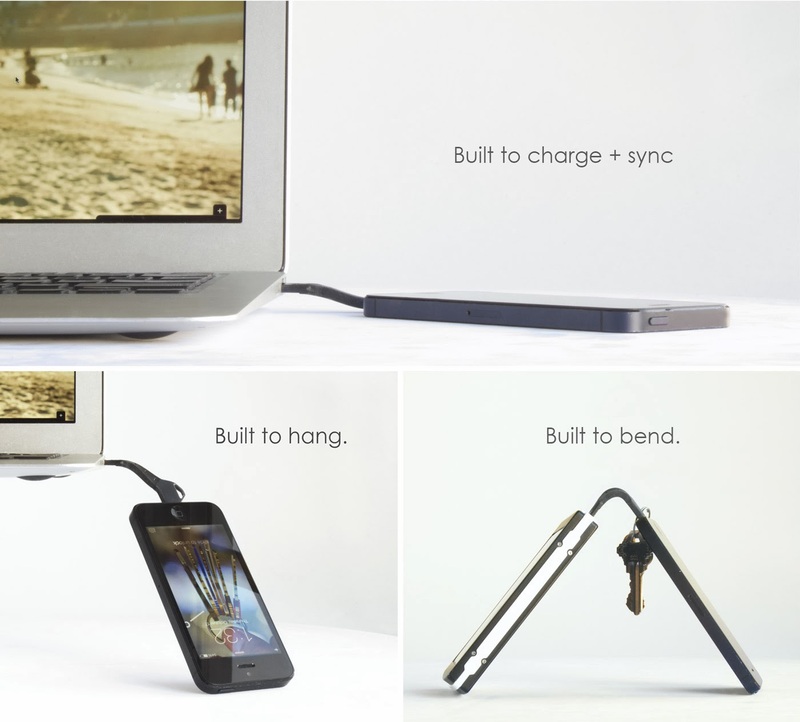 ChargeKey is a key shaped smartphone cable that's designed to fit your life. It works like your normal cable for charging/syncing your phone. 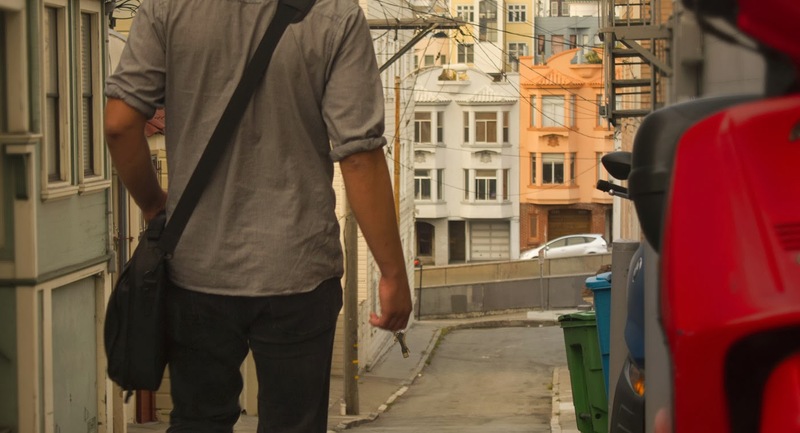 ChargeKey is with you when you need it, and out of your way when you don't. Unlike bulky battery packs and wall plugs, ChargeKey is designed to always be there when your phone unexpectedly dies on you. The ChargeKey is made of two hard plastic ends connected by a flexible rubber middle. On one side is a thin USB connector that can be plugged into a Mac, PC, or wall adapter for charing a device. 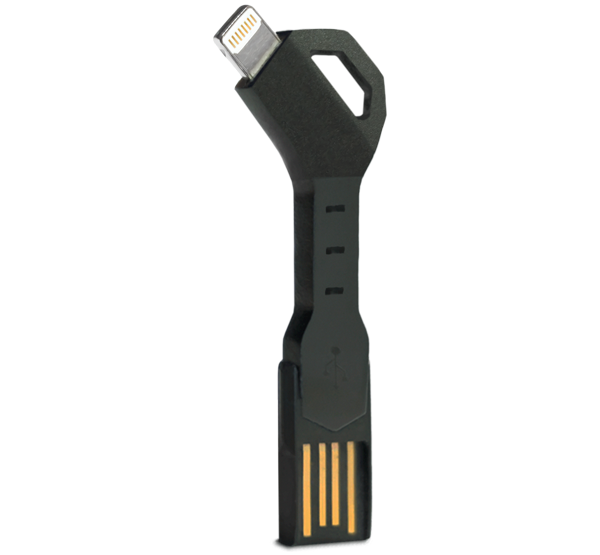 The other end includes a Lightning connector for charging and syncing, as well as a loop that can be used to attach the ChargeKey to a keychain. The idea is for someone who always has their keys on them, they'll always have a Lightning cable as well, ensuring their iPhone or iPad won't run out of juice due to a lack of cable. The accessory is thin and on a keychain, it's no larger than a typical vehicle key, while slightly larger than a regular house key. Because it's all rubber and plastic, it's light and appears durable from our tests. If you carry a keychain with a handful of keys already, as many people regularly do, adding a ChargeKey to your pocket won't add any noticeable bulk. And the bendable middle section of the accessory means it's not another stiff item added to your keychain that may poke you in the pocket. 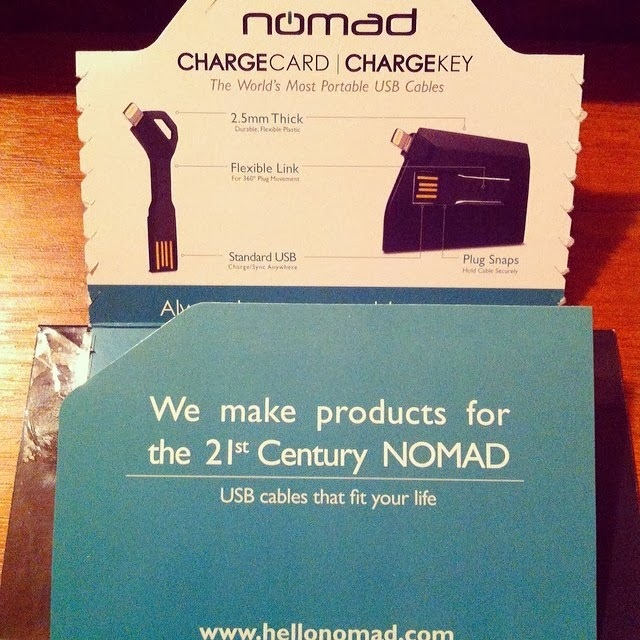 The ChargeKey is truly designed for convenience. As such, anyone looking for a cable that can be easily used with a wall charger should stick to a traditional cable. We can't recommend attempting a balancing act with a ChargeKey, a wall adapter, and a $600-plus iPhone. But that's not the point of the ChargeKey. 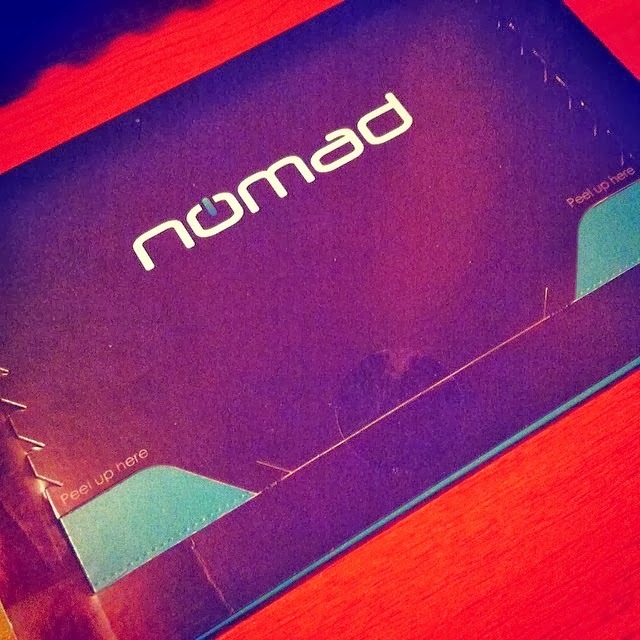 Nomad's design is intended to make this a cable that you always have on you, without even thinking about it. In that respect, it succeeds. Thankfully, we're happy to report that the ChargeKey works. We tested it with a MacBook Pro and a series of wall adapters. We found that it worked on an iPhone 5s, an iPhone 5, and an iPad Air. With 3.1-amp charging, the ChargeKey has enough power to juice Apple's iPad lineup. It's also a USB 2.0 cable, which allows for syncing devices. 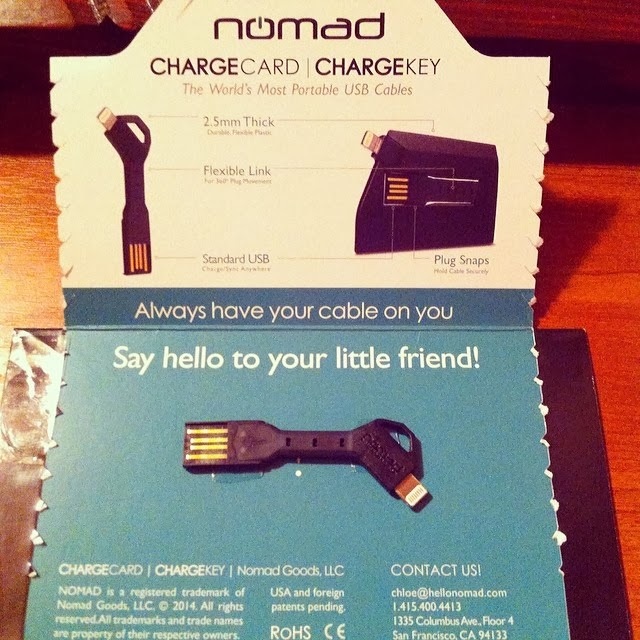 And though it's a small accessory, we're happy that Nomad chose to use bendable rubber as the middle portion of the cable. This allows some wiggle room with which to plug in and unplug a device — a particularly important fact when using the ChargeKey when still attached to a keychain with larger traditional keys. The ChargeKey is small and it works. Those simple accomplishments alone make this a success. Priced at $29, the ChargeKey is a decent value, coming in $5 cheaper than Apple's own official Lightning cables. It's also a unique product, the likes of which we haven't seen elsewhere on the market.